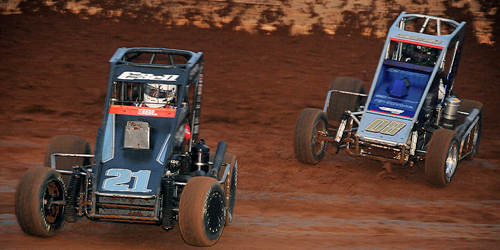 USAC Midgets “Tuesday Night Thunder” at Red Dirt Raceway on July 9! Lonnie Wheatley, MEEKER, Okla. (April 3, 2019) – The NOS Energy Drink USAC National Midget series made its return to Oklahoma last summer after an absence of more than 40 years. The event more than exceeded expectations, setting up a second edition of “Tuesday Night Thunder” atop the ¼-mile Red Dirt Raceway near Meeker, OK, on Tuesday night, July 9. The event that also includes non-wing Micros kicks off the USAC’s Mid-America Midget Week that continues on at Beloit, Kansas’ Solomon Valley Raceway for the “Chad McDaniel Memorial” the following night, Fairbury, Nebraska’s “Midwest Midget Championship” on Friday and Saturday, July 12-13 and then Missouri’s Sweet Springs Motorsports Complex on Sunday, July 14. Last year’s return of the USAC National Midgets to the Sooner State was a rousing affair with home-state hero Christopher Bell outdueling Keith Kunz Racing teammate and now defending series champion Logan Seavey for the victory as 33 of the nation’s top Midget contenders filled the pit area. General admission for the July 9 USAC National Midget “Tuesday Night Thunder” event is just $25 with high school students and younger just $5. There is also $5 off admission for anyone wearing a Red Dirt Raceway tee-shirt or that has a “Red Dirt Raceway – Meeker, OK” koozie. All access pit passes will be available for $35. Red Dirt Raceway features a tailgate area as well available for the first 25 cars for just $100 per car load (fit as many as you can) with one 54 quart cooler and one grill permitted. Camping without hookups is available onsite. Gates for “Tuesday Night Thunder” open at 5:00 p.m. with qualifying getting under way at 7:00 p.m. and then racing to follow at 7:30 p.m.
Sponsors making “Tuesday Night Thunder” at Red Dirt Raceway possible include Patriot Dodge of Chandler, Hepfner Racing Products, Rod End Supply, Keizer Wheels, EMi, Mud-X, Speedway Motors, and Outlaw Wings. Meeker, Oklahoma’s Red Dirt Raceway is located 4.5 miles north of US 62 on SR 18 (990871 South Highway 18, Meeker, Oklahoma 74855). 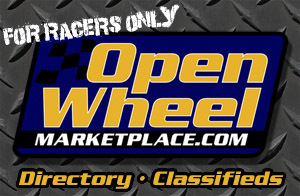 For more information, contact the track at 405-318-0198 or check online at https://www.reddirtraceway.com/.